It's 02:47 in Andover, USA right now. 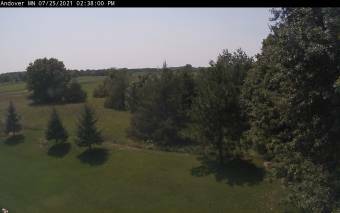 Near Andover High School A webcam in Andover, Minnesota with image archive, weather data and timelapse videos. Minneapolis, Minnesota: National Sports Center, 17.7 miles away. Long Lake, Minnesota: Orono Intermediate School, 21.8 miles away. Saint Paul, Minnesota: Willow Lane Elementary School, 22.3 miles away. Minnetonka, Minnesota: Glen Lake Elementary School, 24 miles away. Minnetonka, Minnesota: Scenic Heights Elementary School, 24 miles away. Prior Lake, Minnesota: St. Michael Catholic School, 36.5 miles away. Cumberland, Wisconsin: Largon Lake, 65.1 miles away. Spicer, Minnesota: Lake Florida, 80.2 miles away.